When I was in my mid-twenties, I went on a birdwalk at Mason Neck State Park. The other birdwatchers were more knowledgeable than me, and were excited when they heard the call of a Prothonotary Warbler, a bird with which I was unfamiliar. We stood in the mosquito-infested swamp for almost an hour, hoping that the warbler would reveal itself. It was several years later that I saw my first Prothonotary Warbler. On Monday, I took a hike in Leesylvania State Park, and heard the now familiar tsweet tsweet tsweet song. A flash of golden yellow flitting through the tree canopy was my first Prothonotary Warbler sighting this spring. 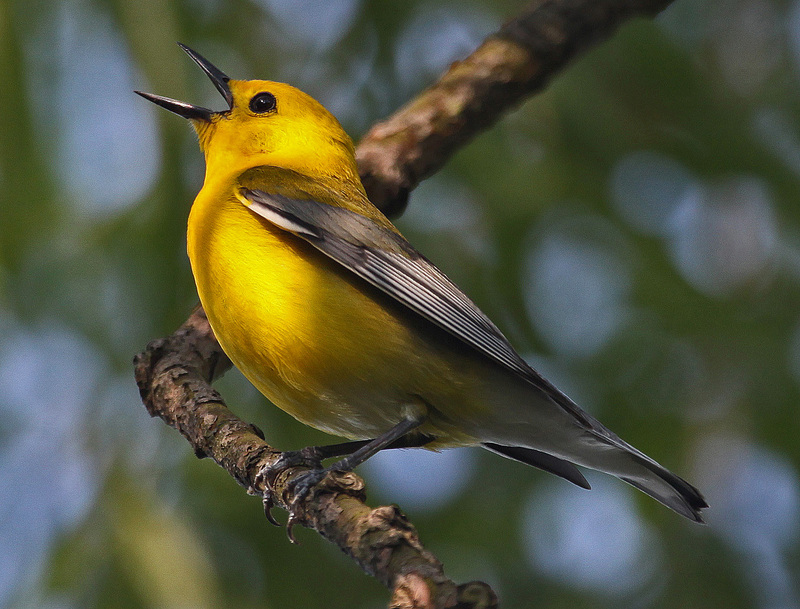 Prothonotary Warblers are named after Catholic clergy called prothonotaries, who wear bright yellow robes. The warblers are less than 6 inches long, and weigh about 1/2 ounce. They fly from their wintering grounds in the Caribbean, Central America, and northern South America to nest in the Eastern United States. This is a major trip for such a small bird. They nest in tree cavities near water, often in swampy areas, and eat insects and snails. By mid-August, their young have fledged, and they embark on their long journey south. Like many other birds, these beautiful warblers are under threat from degradation of both their wintering grounds and breeding grounds. If you haven’t already done this, why not take a walk this spring to see this lovely bird? 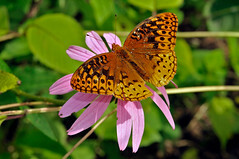 They can be seen at Merrimac Farm WMA, Leesylvania State Park, and Occoquan Bay National Wildlife Refuge, and probably many other places in Prince William County. If you see one, I promise that it will brighten your day! I would like permission to use this photo in a non-profit organization’s website at nysbs.org, dedicated to the preservation of the Eastern Bluebird and other native cavity nesters.